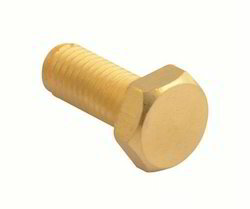 We manufacture different types of brass fasteners that include brass nuts, brass bolts, brass anchors and brass inserts. 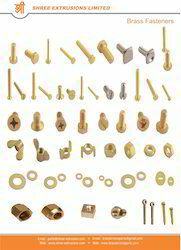 In the manufacturing of brass fasteners, we consider the attributes such as dimensional accuracy, high tensile strength and robust construction to find their extensive application in varied construction, instrumentation, sanitary installation work, petrochemical, electrical and engineering industries. Shree Extrusions Ltd is one of the leading manufacturers and Exporters of Aluminum Bronze Fasteners like Stud as per various standards, specifications and requirements. Our range includes various Grades of Brass, Copper & Bronze Fasteners as per standard as well as Customer Guidelines and their Specific requirements of Fasteners & Components. We are using the process of, Casting + Extrusion + Forging & Machining. The raw material can be offered in various grades as per DIN, BS 2874, CA 104, NES 833 Part 2 & ASTM standard also. Fasteners are manufacturing from Extruded, Drawn, Stress Relieved materials & meet all physical parameters of UTS, Elongation, Proof Stress, Hardness & IZOD. Our quality is best in industries and across the globe. Also we have NABL (National Accreditation Board for Testing and Calibration Laboratories) accredited In House Lab approved by Government of India. Shree Extrusions Limited is one of the Leading manufacturers of ALUMINUM BRONZE Alloys, Bolts & Nuts to various industries e.g. Pump, Valves, Shipbuilding, Marine and other Defense projects.We supply Nickel Aluminum Bronze, Aluminum Bronze in various grades and specification as per client's requirement. Apart from above mentioned grades we can supply as per custom specifications and grades also. Our Quality standards are best in industries we follow strict procedures for material quality checks. Shree Extrusions Limited is a indian manufacturer of Silicon Bronze Screw’s primarily in grade UNS C65100. We produce silicon bronze fasteners in metric and imperial sizes. Export quality silicon bronze Screws manufactured under team of highly professional experts in the Industry. “Silicon Bronze Screws” are available at very competitive price with customer’s specific requirements with complying with international Norms & standards.These fasteners are marine grade hardware, vastly used for fittings and fixtures in salty sea water based applications. Some common silicon bronze fastening hardware includes Hex Head Screws, Socket Head Screws, Square Head Screws, Flange Head Screws, Cheese Head Screws, Set Screws, etc. as per customer requirements and as per Specification. Resistant to corrosion (Also resists salt water corrosion), Thus highly used in Costal (Marine) applications. Good to use in heavy load & High pressure application. Melting point of bronze is higher in comparison to other metals. Hardness & Strength is a quality of bronze alloys. Bronze is Non-Sparking (Spark Free) material. Shree Extrusions Limited is a indian manufacturer of Silicon Bronze Washer primarily in grade UNS C65100. We produce silicon bronze fasteners in metric and imperial sizes. Export quality silicon bronze Washers manufactured under team of highly professional experts in the Industry. “Silicon Bronze Washers” are available at very competitive price with customer’s specific requirements with complying with international Norms & standards. These fasteners are marine grade hardware, vastly used for fittings and fixtures in salty sea water based applications. 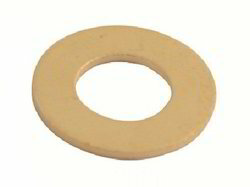 Some common silicon bronze fastening hardware includes Plain Flat Washer, Spring Washers, etc. as per customer requirements and as per Specification. Most of these fastening washers are a product of sheet metal molding, punching in cold forming or hot formed condition. However due to unavailability of required sheet metal stock, washers can be machined from suitable bar stock. 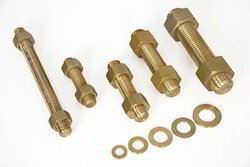 export quality silicon bronze bolts manufactured under team of highly professional experts in the industry. 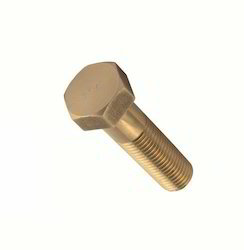 “silicon bronze u bolts” are available at very competitive price with customer’s specific requirements with complying with international norms standards. Shree Extrusions Limited is a indian manufacturer of Silicon Bronze Nut primarily in grade UNS C65100. 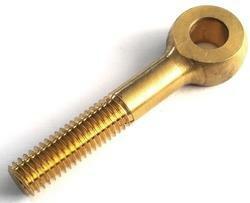 We produce silicon bronze fasteners in metric and imperial sizes. Export quality silicon bronze nuts manufactured under team of highly professional experts in the Industry. “Silicon Bronze Nuts” are available at very competitive price with customer’s specific requirements with complying with international Norms & standards. Nuts, Flange Nuts, Square Nuts, Acorn Nuts, Two Way Long Nut etc. as per customer requirements and as per Specification. As a reputed firms in this domain, we have been engaged in offering high grade Brass Cap Acorn Nuts. With the aid of sophisticated techniques, these nuts are manufactured using quality approved brass by our adroit professionals. The offered nuts are a type of fastener that is used to cover exposed bolt ends and add a finished appearance. Additionally, the provided Brass Cap Acorn Nuts can be availed at suitable rates. Finishing:Zinc plating, Nickel plating, Chrome plating, Polishing, Sand blasting, Anodizing. 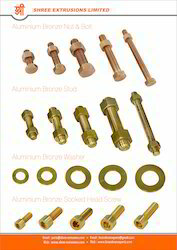 Aluminum Bronze Fasteners Shree Extrusions Ltd is one of the leading manufacturers and Exporters of Aluminum Bronze Fasteners like Washer as per various standards, specifications and requirements. Our range includes various Grades of Brass, Copper & Bronze Fasteners as per standard as well as Customer Guidelines and their Specific requirements of Fasteners & Components. Product Description: Shree Extrusions Limited is one of the Leading manufacturers of ALUMINUM BRONZE Alloys, Bolts & Nuts to various industries e.g. Pump, Valves, Shipbuilding, Marine and other Defense projects.We supply Nickel Aluminum Bronze, Aluminum Bronze in various grades and specification as per client's requirement. Shree Extrusions Ltd is one of the leading manufacturers and Exporters of Aluminum Bronze Fasteners like Bolt as per various standards, specifications and requirements. Our range includes various Grades of Brass, Copper & Bronze Fasteners as per standard as well as Customer Guidelines and their Specific requirements of Fasteners & Components. An Ultra-Modern Extrusion manufacturing unit has been set up by us for executing all the business related operations in an organized manner. One of the most advanced and Sophisticated Machineries have been installed at the unit to increase the production rate and decrease the labour requirement. Today's we are India's Largest Manufacturers and Suppliers of Aluminum Bronze Fasteners to various industries like Pump Valves, Shipbuilding, Marine and defense projects. Certification: We are ISO Certified Company, ISO 9001-2008Also we have NABL (National Accreditation Board for Testing and Calibration Laboratories) accredited In House Lab approved by Government of India. Shree Extrusions Ltd is one of the leading manufacturers and Exporters of Aluminum Bronze Fasteners like Nut as per various standards, specifications and requirements. Our range includes various Grades of Brass, Copper Bronze Fasteners as per standard as well as Customer Guidelines and their Specific requirements of Fasteners Components. An Ultra-Modern Extrusion manufacturing unit has been set up by us for executing all the business related operations in an organized manner. One of the most advanced and Sophisticated Machineries have been installed at the unit to increase the production rate and decrease the labour requirement. We are using the process of, Casting + Extrusion + Forging Machining. Shree Extrusions Limited is one of the Leading manufacturers of ALUMINUM BRONZE Alloys, Bolts & Nuts to various industries e.g. Pump, Valves, Shipbuilding, Marine and other Defense projects. We supply Nickel Aluminum Bronze, Aluminum Bronze in various grades and specification as per client's requirement. We are the leading Manufacturer of Aluminium Bronze Cap Head Screw. We offer our clients a Brass Lock Components that are appreciated by our clients for their durability and reliability. These are available in customized sizes and specifications as per the requirements of the clients. These can be used as brass hardware fittings that are available in various sizes, these components can be custom-made as per the specific designs provided by the client and can be delivered in bulk quantities within a stipulated time. 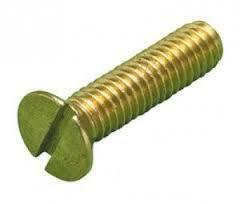 Shree Extrusions Limited is a indian manufacturer of Silicon Bronze Bolts primarily in grade UNS C65100. We produce silicon bronze fasteners in metric and imperial sizes. 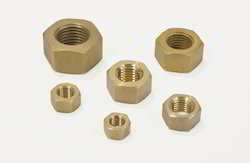 Export quality silicon bronze nuts manufactured under team of highly professional experts in the Industry. “Silicon Bronze Elevator Bolts” are available at very competitive price with customer’s specific requirements with complying with international Norms & standards. These fasteners are marine grade hardware, vastly used for fittings and fixtures in salty sea water based applications. Some common silicon bronze fastening hardware includes hex head bolts, heavy hex head bolts, socket head cap screws, flat head socket cap screws, eye bolts, keel bolts, hex nuts, heavy hex nuts, lock nuts, flat washers, fender washers and split lock washers. Being a quality conscious enterprise of this field, we are affianced in offering optimum quality Cheese Head Screws. These screws are manufactured by our adept professionals with the aid of cutting edge techniques using premium grade brass. The offered screws are used for joining sheet metal parts. In addition, the provided Cheese Head Screws can be bought at budget friendly rates. Variety of brass Grades can be made for various applications.